Before 3.2, when I marked a project as reviewed, it would disappear from the project list in the Review perspective. Now, as of 3.2, when I mark a project as reviewed it grays out but stays in the project list. I don’t like this behavior. Is it possible to revert back to the old behavior? I’ve looked at the Review perspective settings but can’t figure out how to get the old behavior back. If you hit commond-K to clean up, the reviewed project will disappear. 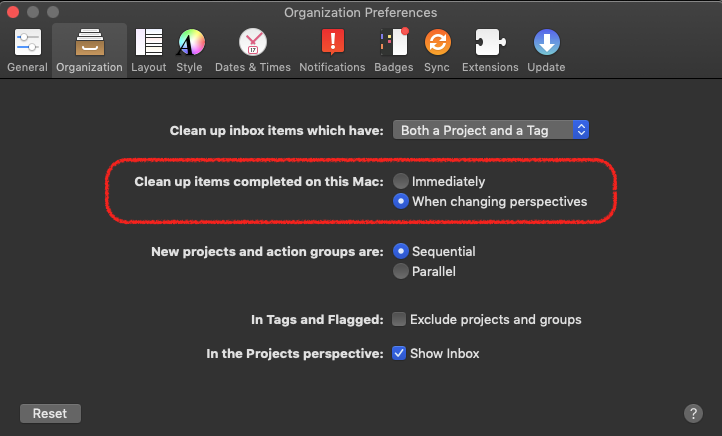 There is a preference setting under Organization to clean up immediately or when changing perspectives. No, this isn’t a cleanup issue. This is new behavior since upgrading to 3.2. FWIW, I just upgraded to 3.2 (v122.4) and I’m not experiencing this. edit: I spoke too soon. I do have one project that is hanging after clean up. 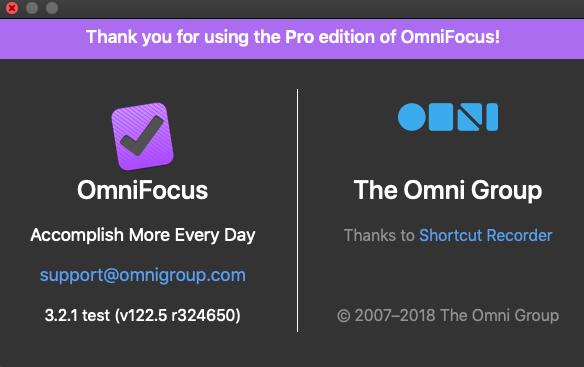 edit 2: Quitting Omnifocus cleared it. Hmmm… I have the 3.2.1 TestFlight version. I marked a project as reviewed and then hit Command-K to clean up. It disappeared for me. I’ll see what happens if I have the setting changed to automatically clean up. Update: I clicked a project as marked as reviewed. The bullet disappears from a project that has been reviewed but it stays in the left outline. But if I hit Command-K, it does disappear.